I know everyone has their favorite cookies they make each year for the holiday season. Mine are these Mint Chocolate Chip delights. I actually found the recipe on the back of the Mint Chocolate Chip bag a few years ago and have been making them ever since! Preheat oven to 325 degrees. Line a baking sheet with parchment paper or a silicone baking mat and set aside. In a medium bowl, sift together flour, cocoa, baking soda, and salt, then set aside. In a large bowl combine butter, vanilla, and sugars and mix till creamy. Add in eggs one at a time until thoroughly combined. Slowly add in flour-cocoa mixture till incorporated. Gently stir in chocolate and mint chips. Drop by tablespoon onto prepared baking sheet and bake for 12-14 minutes. Let sit on baking sheet for 2 minutes, then remove and let cool completely on wire cooling rack. I learned a great tip recently about re-using the same baking sheet. I had always used two baking sheets when making cookies, this allowed the first baking sheet to cool so all the cookies baked evenly. That was until recently I read to simply rinse the back of the hot baking sheet with cool water, wipe it down and voila the same baking sheet is cooled to room temperature and you can use it right away! Besides the recipe being on the back of the bag, it is online as well: verybestbaking.com. I am also behind on getting my award posted and I really can't wait to pass it along to other bloggers. Kitchen Morph, KonstantKraver, and Gingerbread Bagels have given me the One Lovely Blog Award. I am truly honored by these bloggers, they have an intense amount of creativity and really show it in the kitchen and through their blogs. So thank you and please go check them out!! 1. You accept the award and thank the person that gave it to you. 2. Pay it forward to 15 bloggers, whose blogs you admire. 3. 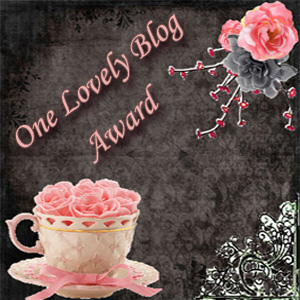 Contact those bloggers to let them know they have been given the "One Lovely Blog" Award. It was so easy to decide who to pass the award on to, I have some definite favorites and have also started reading a lot of great new blogs. 1. Comfort of Cooking: Georgia is one of my go-to blogs for recipes and she has just re-designed her blog, so what better time to give this award! 2. Cooking with Sugar: Sugar is truly inspiring, she has a passion to encourage woman to cook again and it really shows in her blog. 3. The Mom Chef: Mom Chef devours magazines for recipes and brings us the good and the bad of all her favorite finds, I love her honesty! 4. Bakergirl: She has made quite possibly the cutest Christmas cookies I have seen all season, you must take a look! 5. Sweet SugarBelle: I recently found her blog via University of Cookie and fell in love. I am obsessed with her beautiful sugar cookies and find her hints extremely helpful! 6. Patty's Food: This girl has delicious recipes for things I haven't dared to try yet, like these chocolate fig bars that I wish I had right now! 7. Meet the Shannons: Annie and her husband are working their way through the Betty Crocker cookbook vegan style! I am no vegan, but love the way she makes veggies look delicious! 8. swEEts by e: Evan, a fellow Texan, makes my dreams come true with her Chocolate Peanut Butter Squares! 9. Krafted by Kelly: I love love love her blog. Not only is she a baker like me, but she doodles. These are not your ordinary heart and flower doodles, she write comics from people's tweets! You MUST check her out! 10. The Pink Apron: She has some cute Christmas baking going on that I think you all need to check out, plus she gives the secret to making better chocolate chip cookies! 11. Chicago Cuisine Critique: I am not from Chicago, but love reading her stories and yummy recipes. If you live in Chicago or plan to visit, reading her Chicago dining reviews is a must! 12. Frugal Antics of a Harried Homemaker: Her family history in the culinary arts is inspiring, you will love her series of posts "Make your own Monday", I can't wait to try her cake donut recipe! 13. Momma Hen's Kitchen: Her Christmas baking ideas had me drooling all over my keyboard! 14. Fragrant Vanilla Cake: Amy has taken her love of baking and put a healthy spin on it, I love her creative substitutions in recipes. 15. Sinful Southern Sweets: Not only does she make some of the cutest desserts, but she creates gift tags for them, some of which you can download from her site! Debbie, thanks so much for this award! You made my day and really put a smile on my face. You're so thoughtful. Also, these cookies are such a treat! You did a beautiful job on them. I love the mint and chocolate flavor. In fact, I have chocolate chunk peppermint cookies in the oven right now! YUM. Thanks again. I hope you have a great weekend. Yep...I'm a peppermint lover too! These look so good!!! These cookies look fantastic. I love the mint chips (and have to go find me some). Thanks for sharing. Thank you too, for the award. I'm honored at being included as one that you enjoy reading. Thanks so much for the award. It is so nice to know you like to visit my blog. I love, love, love chocolate and mint. Those cookies sound delightful! I love your mint chocolate cookies! We'll have to give this recipe a try! Congrats to the winners - you chose some great bloggers. Mint and chocolate are one of the best combinations I know. I just made some mint brownies the other day! I think we are on the same wavelength. These cookies look great - chewy and delicious. I am just finishing up a piece of fudge and could go for one of those cookies now. Great cookie recipe, I love love love chocolate and mint! Wow three times, congrats! But with cookies like these, it's no surprise. I saw them and couldn't wait to see what was in them. I've never heard the tip about rinsing your pans. Congrats on the award. And those certainly are "delights"
Thank you so much for the award Debbie! :) And congrats on winning it yourself three times over! You just introduced me to some new bloggers to check out as well.. by the way, these chocolate cookies looks great! congratulations on your awards, they are well deserved! What a great bunch of bloggers you passed your awards on to! 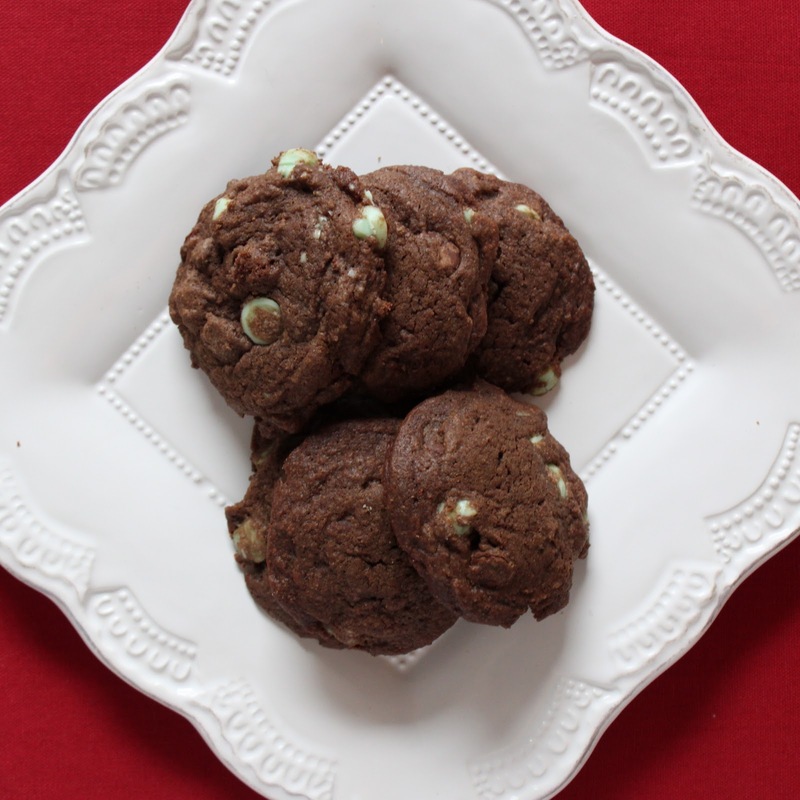 Your cookies look amazing, mint and chocolate what a perfect combination of flavors! these mint chocolate delights look great!! Congrats on food buzz top 9!!! It's so funny that you posted this because I just picked up a bag of these chips at Target the other day. I think I'll have to give this recipe a shot, your pictures make them look absolutely delicious! What's the texture of the cookies like? Thanks for the tip on the baking sheet-- I would have never thought of that. Mm, chocolate and mint is an excellent combination. They're like an old married, happy couple. Yeah. Love minty chocolate cookies! And congrats on the award! Congrats on your award too.